Here’s a tip for everyone on this coming Valentine’s day. 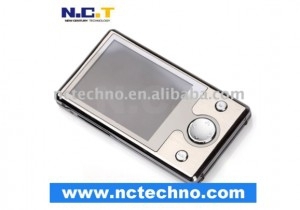 Do not buy this instead of a Zune. Nothing says “I love you” like a terrible knockoff! PMP Today reports that the specs on this are nothing impressive and something tells me you won’t be able to find this outside of China. If you really want to see the gory details you can check them out here. I suppose it’s a good thing though that the Zune at least has enough mindshare to be worth copying.